Yes!!!!! YEEEEEEE!!!!!! Finally, Fedora managed to squeeze me into its tight schedule and allow me to write an article on it. The 31st post on this procrastination-tainted blog is the lucky one, so go ahead, feel free and use the number at the lottery. No, I do not want any percent of your winnings, but remember... YOUR SOUL IS MINE! Another number that could help you in the war against the odds has to be 14, because that's the version of Fedora I will be taking a look at today (and very possibly tomorrow, the day after tomorrow [...] - I shall hopefully finish the article by New Year's Eve). Codenamed Laughlin, the majority of people (including Google) will first think of gambling, alcohol and mostly happenings that stay in Vegas, though the name comes from Nobel Prize-winning physicist, Robert Betts Laughlin. There's little else to say about Fedora, its history and its contributions to open source that you don't know about, so I will skip that part. 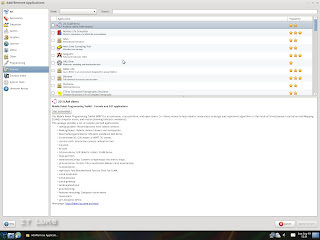 To give you the big picture, Fedora is backed by the huge Red Hat Inc., occupies the 2nd place in Distrowatch's popularity list and is a true free software backer. Also, the Fedora community has one of the best "team chemistries" in the distro world and that alone hints to the quality of this OS and the effort put behind it. 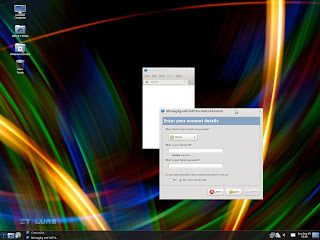 So let's see how this distribution fares up to the needs of a "regularish" desktop user. 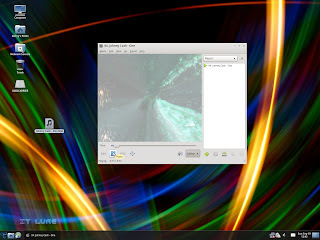 The live image (be it 32- or 64-bit) can be burnt onto a 700 MB CD - although some serious compromises had to be made - once you download it from the fast mirrors provided by the project. Oh, and if you want to learn more about Fedora, the official website has plenty of information to keep you busy for quite some time. There are tutorials, features and screenshots, weekly news, all sorts of marketing "goodies" like posters, stickers, and, for those who want to really be part of Fedora, a place to quickly scan the ways in which they can contribute to the distro's bright future. Starting up Fedora from the disc is quite fast and you are given immediate access to the Install icon, conveniently placed right on the desktop. My dual monitor setup was also correctly recognized and configured. But first, let's get over the installation part. The first step is... useless, as it shows the Fedora logo, a line of copyright information and the Next button. :D They could've at least type some sort of "Welcome to the blablabla". Eh, an extra click won't make such a difference on the road to RSI. The device type selection follows, but most users will simply need to click next with the "Basic Storage Devices" option selected. The second option, "Specialized Storage Devices" is mainly for large enterprises and such. 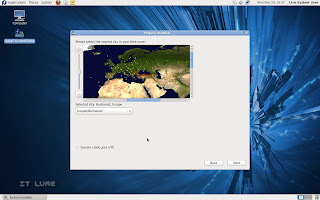 After typing the hostname, it's time to test your geography skills and click on your city as fast as possible! That, or you can scroll through a boring list. See? Geography is fun! 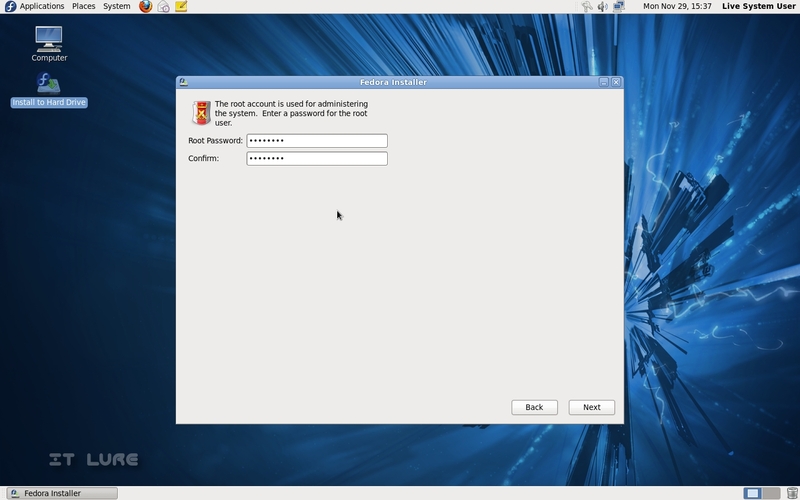 The root password should be typed in the next window. Be sure to make it a strong one! Choosing a way for Fedora to handle your partitions and filesystems is easy as pie. 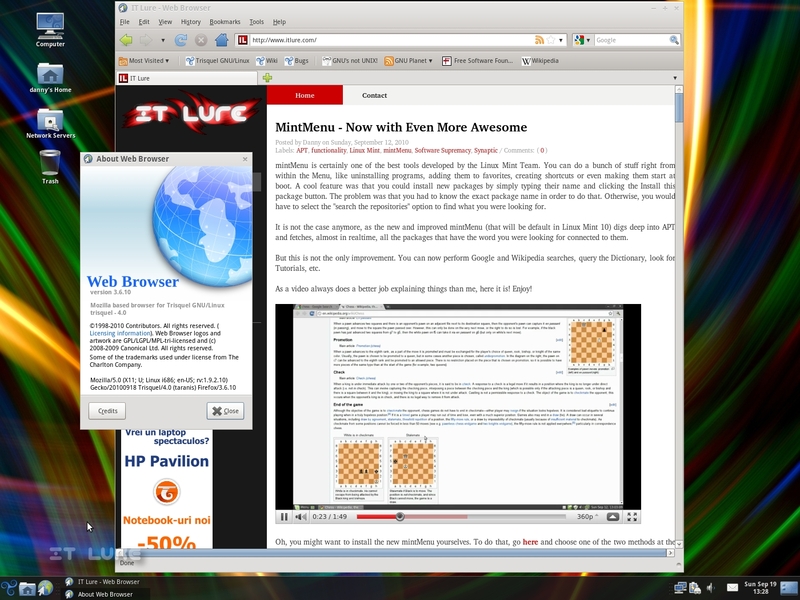 You can tell it to replace any existing Linux partitions (awesome! ), use all space, shrink current system, use any free space floating aimlessly around or get your hands dirty and create a custom layout. Encrypting the system is also possible for sensitive environments. If you have something like an USB drive plugged in, an extra step will appear for you, in which you will have to specify which of the devices you will want to use for installation. Aaaand that's it. The process begins and, after 2 or 3 minutes, BAM!, it's done. Whaaat? 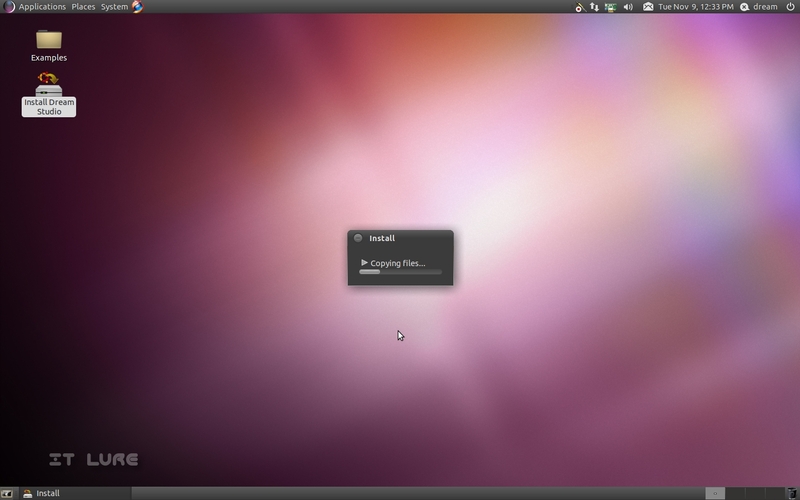 Yep, I think Fedora has the fastest installer I've ever used (it can even compete with all the mini distros out there). You might think I have skipped the user creation step, but this is done at the first boot, along with date and time setup. Getting through the rather trivial login screen, you are greeted with a pretty impressive wallpaper and the regular GNOME layout with two panels, one at the top and the other at the bottom. 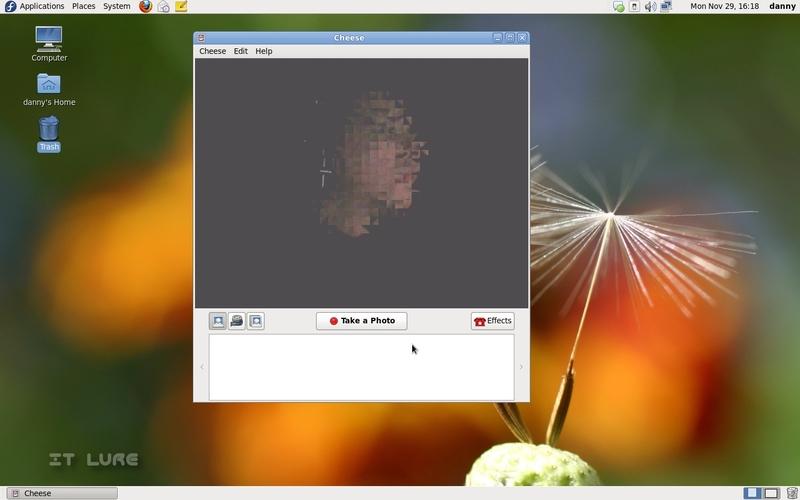 While Fedora's focus is certainly not set on eye-candy, it still won't make one feel ashamed to show it around. Plus, it's really functional. 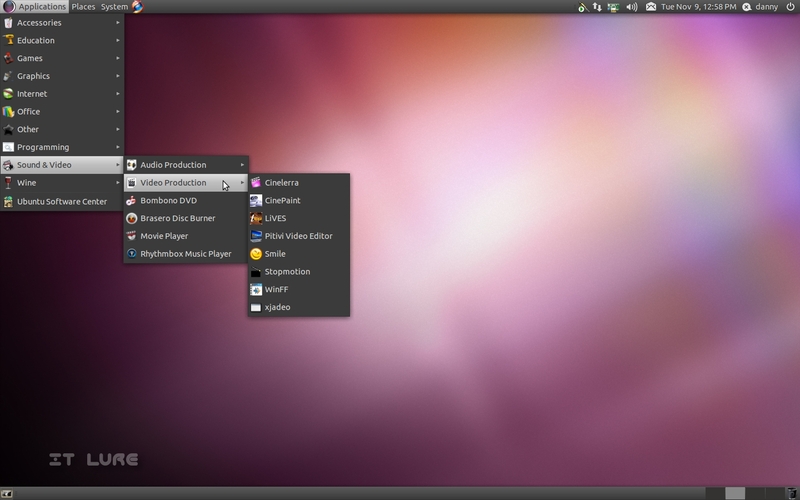 The notifications, though maybe not as pretty as Ubuntu's, are interactive. So if someone sends you a message in Empathy, you can click "Respond" right there in the notification bubble and it will bring up the chat window. But, to be completely honest, I truly believe it's time for a total makeover. 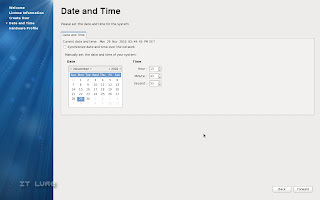 Maybe with the GNOME 3 release, things will be different. On the applications front, the view may seem pretty depressing at first, but it's not like you can't pop open the package manager and install whatever tickles your fancy. The major absence has to be the office suite, which the developers decided to remove, most likely to keep the distro within the CD size restrictions. 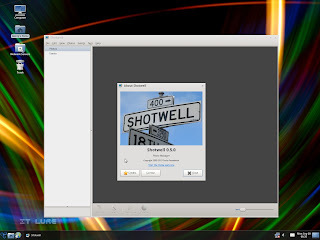 GIMP was also removed and replaced by Shotwell Photo Manager. Actually, replaced is not the right word, as there is a plethora of functions that you will miss from good old gimpy and won't find anywhere in Shotwell. As a true warrior needs his high-calory food, so the tireless office worker needs his solitaire. Fedora delievers and, as bonuses, you get Sudoku, Iagno and Mines. In Graphics, two bored apps stare at eachother: Shotwell and Simple Scan - which did a perfect job at scanning. The Internet is for p..... wait, what? 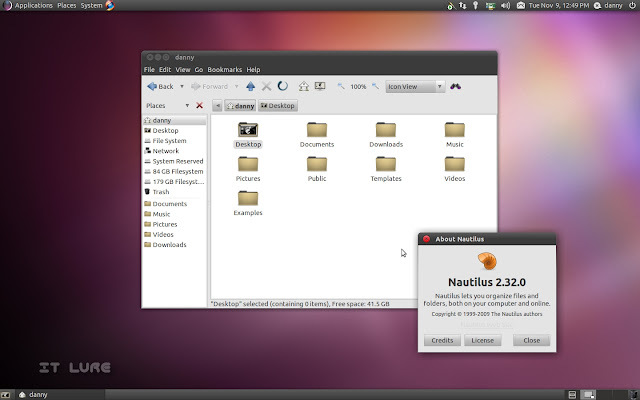 The Internet is for instant messaging through Empathy, the Internet is for browsing the web in Firefox, the Internet is for remotely viewing desktops and finally, the Internet is for downloading p.... erm, Linux distributions through Transmission! Well, I am really glad the Fedora team made room for a project management app inside the Office category. I mean, it's really a must-have for any user, be they beginners or advanced. They certainly won't need a word processor. No, no, project management people, project management, that's what we'll give them. *eyes are rolling*. At least they didn't kick Evolution Mail and Calendar out. Speaking of useful apps, Cheese is another mandatory one. Who can live without making silly faces in front of the webcam and applying wobbly effects on top? Nobody! The usefulness of Audio CD Extractor (Sound Juicer) is also questionable, but if you're planning on digitizing your collection, it's a pretty good tool. 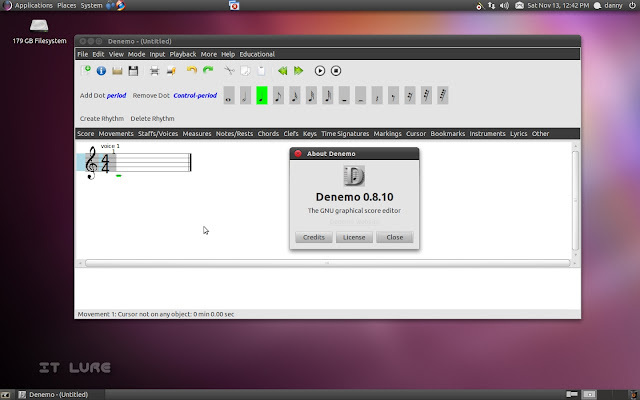 On the other hand, Brasero, Totem and Rhythmbox are well known and will certainly be used plenty of times. Is this MySpacey enough or what? The Automatic Bug Reporting Tool from the last category - System Tools - is a great way to help with the ongoing development of Fedora. Once in a while, pop it open and report all the problems that have been found and, if possible, try to provide detailed info about the crash, freeze or whatever went wrong. The Disk Utility gives you lots of information about the health of your storage devices and can push you to make a backup before it is too late. 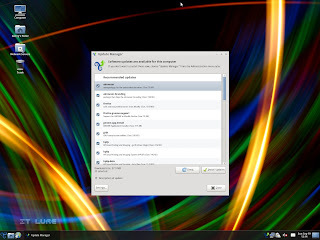 And what better backup tool than Deja Dup, which is also included in this same category. It's dead simple to use, yet very efficient and even has integration with Amazon's cloud service. I like how the package manager first gives a brief description of what a certain program does and puts the actual name of the app on the second line. There are thousands of goodies to choose from, all neatly arranged in categories. Another nifty feature: once the installation of a piece of software is complete, Fedora asks if you would like to run it, which saves you the effort of reaching its position within the menus (also kindly pointed out in the "installation complete" prompt). When I tried playing an MP3, Totem told me I didn't have the right codecs and asked me if I would like to fetch the needed packages to play the audio file. 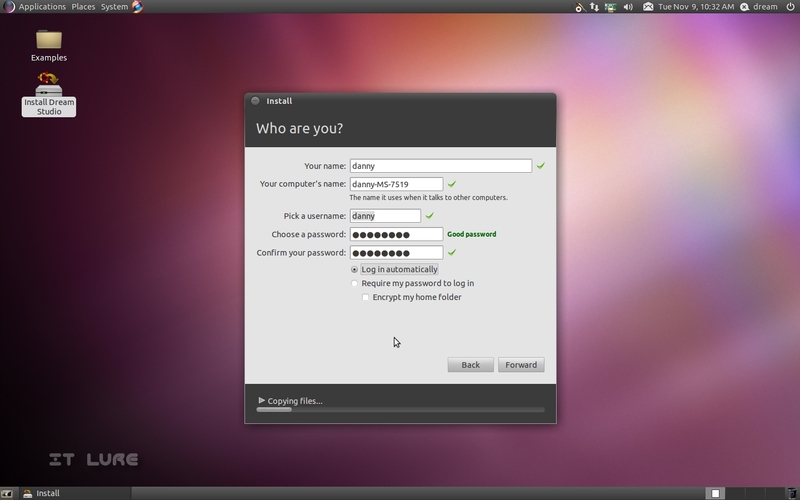 But, as expected, it told me it couldn't find them in the default repositories, which only contain 100% free software. A quick google search later, and I was at the rpmfusion.org site, from where adding a new repository is easy as click, download, install. Once that was complete, Totem fetched the codecs just fine and the MP3 finally started. As I installed the 64-bit version, I knew some Flash problems will arise. While the video is smooth, the audio is plagued by all sorts of crackles and other unwanted noises. You can hear the original sound, but it certainly is annoying. 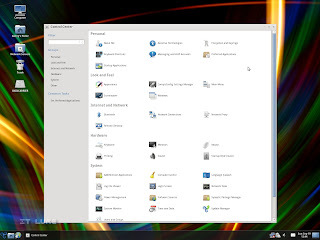 Hardware-wise, everything was correctly setup, besides the HP Deskjet 3940 printer, which required the installation of the hplip package, found in the repositories. The Canon camera was detected just fine, the scanner also worked "out of the box" and my Alcatel OT-800 phone's camera was recognized as a webcam. 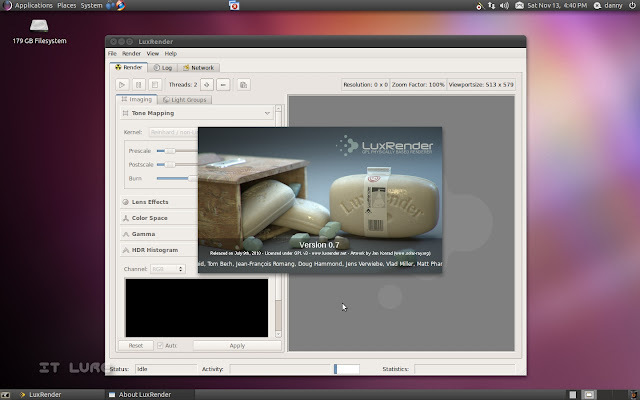 Installing the proprietary graphics card drivers isn't as easy as in Ubuntu or automated like in Mandriva, but with a 2-minute trip to the web you'll be done in no time. Fedora 14 also comes with a Firewall for fine-tuning network access and ensuring an even higher level of security. There is another small, but quite annoying quirk: sometimes, the scroll wheel on my mouse will not work. I believe it's another 64-bit annoyance as Windows 7 64-bit also had this problem until the updates were installed. P.S. 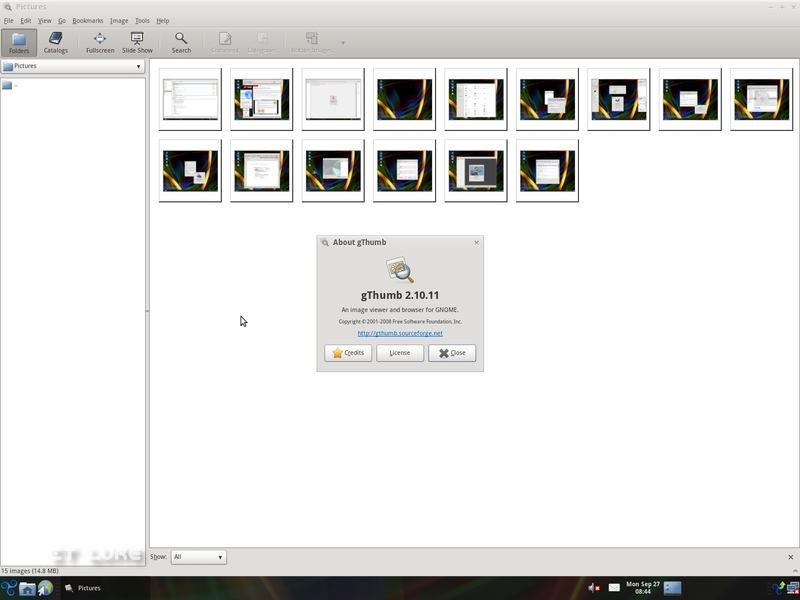 : When placing the finishing touches on the screenshots I took, I opened one in GIMP and I double clicked the titlebar in order to maximize it. Guess what happened? No, it didn't maximize. The whole system froze. Only the mouse would move, but nothing was clickable. Not even caps/num lock would work. Yay! Of course, it didn't happen the second time I tried so i hope it was a once-in-an-OS-lifetime mistake. Surely, as always, there is room for improvement, but I found Laughlin to be the most stable and solid version of Fedora I've tried in years. I am certainly no expert when it comes to creating, configuring and managing a multimedia studio, but I do know that the hardware needed is very expensive and I also know that the software required to record, edit, etc. takes up a comparably large portion of one's budget. But what if, instead of acquiring expensive licenses, one could invest that money in better equipment or, why not, sound proofing the REC room? So, if anybody is on the market for acquiring multimedia-creation software, first take a look at what the open source world has to offer and then take a decision. There is quite a surprisingly large number (10+) of "studio" distributions out there, but this article will focus on one of the newest of the bunch. Based on Ubuntu 10.10, Dream Studio brings you most of the tools needed for creating and editing video, audio or 2D/3D graphics. Dream Studio comes packaged in a Live DVD ISO that's 2 GB in size. At the moment, it seems there's only a 32-bit version available. The project's website is clean and provides to the point information about the operating system as well as user feedback. 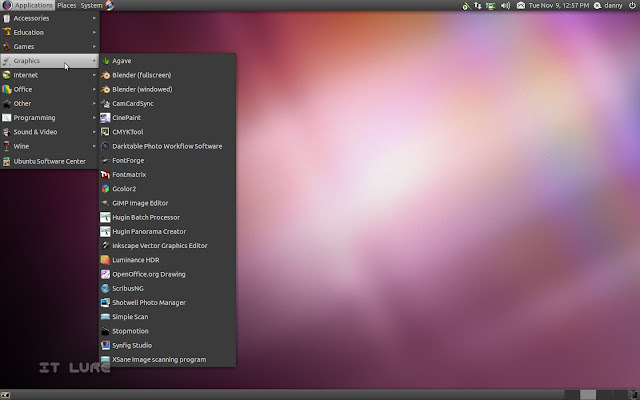 The revamped installer from the latest Ubuntu release is, of course, present in Dream Studio too and packs quite a few useful features, most importantly, the ability to add MP3 and Flash support as well as proprietary wireless drivers, depending on your configuration. Also, if an Internet connection is active at installation time, Dream Studio can download any updates that may have been pushed by the Ubuntu team. The location detection still works like a charm, but if you are not connected to the Internet, you don't have to pixel-hunt anymore, as you can quickly type your city name in the designated box. 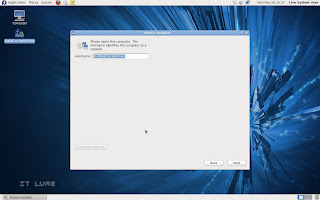 With the process complete, if you choose to "Continue testing" rather than "Restart now", you won't be able to select restart from the top-right corner, leaving two options: either hard reboot your machine (which is what most newbies will do) or pop open a terminal and 'sudo reboot'. The Red X from HELL! I like red. Before moving on to the juicy part, most of you in the business of audio production will know the importance of a realtime kernel. This, unfortunately, is not used by default in Dream Studio, but, in the website's tutorial section there's a link to the said kernel package. As some of you may expect, JACK Audio System starts along with Dream Studio. JACK is a real godsend when it comes to tackling multiple audio inputs or outputs and the connections between them. I didn't play around too much with it, but it worked just fine. One more randomly placed warning: if you have an USB A4Tech multi-button mouse, you will probably lose your ability to left click when you activate NumLock. And no, deactivating it will not make the mouse work again. There are two fixes that worked for me: install a package that is now not available anymore, or type the following two commands: 'xinput --list' and, 'xinput set-int-prop 11 "Device Enabled" 8 0' (where 11 could be another number, attached to the second "A4Tech USB Full Speed" entry in the list that is displayed after typing in the first command. In most cases, 11 will be the correct number. This is not a Dream Studio bug, it is an Ubuntu 10.10 bug and surely a huge turn off for new users. 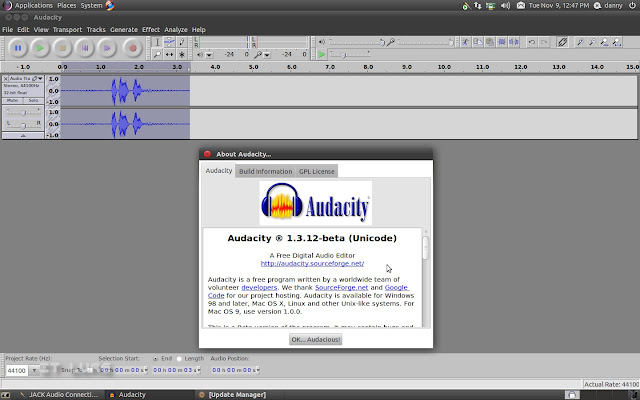 To compensate with the bad news, I noticed a really nifty feature that I'm not sure if it was available in previous Ubuntu releases: depending on where you activate switches or press buttons on the screen, the audio feedback (clicks, beeps, etc.) will play back in the corresponding speaker/headphone. So if you click a button on the right side of the display, you will hear it only on the right headphone (is headphone even a word? :D I guess it's how you would refer to the right or left side of your trousers: left/right trouser). Certainly not an immensely helpful addition, but it adds to the pleasant experience. Firefox comes with Conan O'Brien support out of the box! 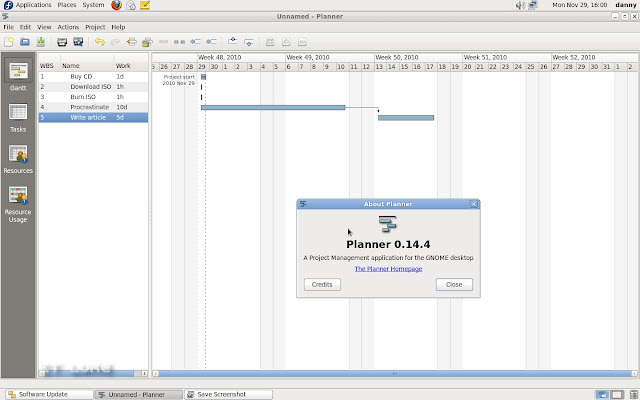 Ouuukay, on to the application suite! I'll skip the boring parts that we all know about, like calculators, text editing, character map, etc etc and enter head-first into the Education category that is absolutely crowded with... one program. :D It goes by the name of GNU Denemo and is known to harness the musical notes like no other. Or so I've heard, cause my theoretical music knowledge is equivalent to zilch. But I used to be pretty darn good at drawing the "Clef" (Cheia Sol in Romanian) on the blackboard during my troubled school years. Eh, add that to hours of shower singing and I guess I'm not that bad after all, now am I? Blink blink. The "Graphics" section is where things really start to get interesting as you'll be ambushed by all sorts of useful open source goodness for providing answers to most of your graphicking needs. Thanks to its parents who were slick enough to give it a name that begins with an "A", Agave sits at the very top, flashing its suspiciously looking leafy logo, ready to give a really helpful hand to designers everywhere on their quest to find the perfect colour scheme for a particular project. Well done Agave, you have earned your place. But the superstar of this category has to be Blender with its windowed and fullscreen shortcuts, bragging around with its acclaimed creations in the CGI industry. 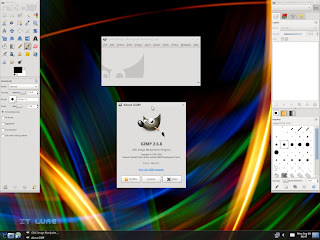 CinePaint is very familiar looking to those who use The GIMP, but, apparently, it can handle huge resolution images better and is actually used in professional movie studios. Darktable is also a favorite of photographers wanting to organize and non-destructively edit the RAW images contained by countless SD cards. While FontMatrix helps you keep a clear record of your font collection, FontForge is an awesome tool to create brand new ones from scratch. Just don't exaggerate on the coffee, you don't want trembling hands when trying to create the next Helvetica. Or ComicSans. The GIMP is next and that's all I'm going to tell you about it cause you know what it does. If you're a fan of panorama images and like to make people scroll horizontally, than you'll be thrilled to find out that the good people at Dream Studio have included the Hugin Panorama creator which does a marvelous job of stitching up the images you took into a glorious panorama. It also comes with its sidekick, the Batch Processor. Speaking of batch, the most notable absence from Dream Studio is Phatch, the tool I use to watermark all the photos that go up on ITLure. But let's focus on what we have and stop complaining! 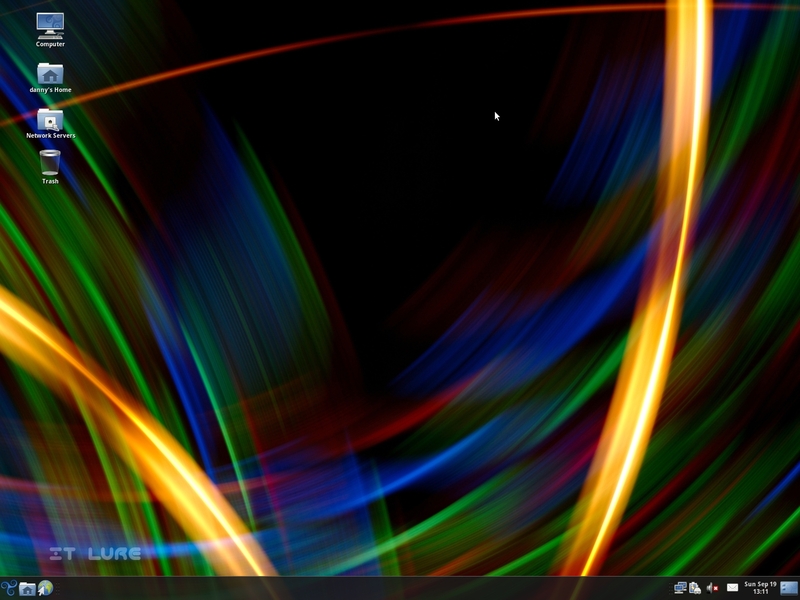 For example, Luminance HDR, a tool that is specialized in achieving the Nirvana of photography: HDR! Yes, I am being sarcastic, but only because all these people HDR-ing everything they can put their hands on. If done by someone with taste and talent, the effect can be strikingly beautiful. 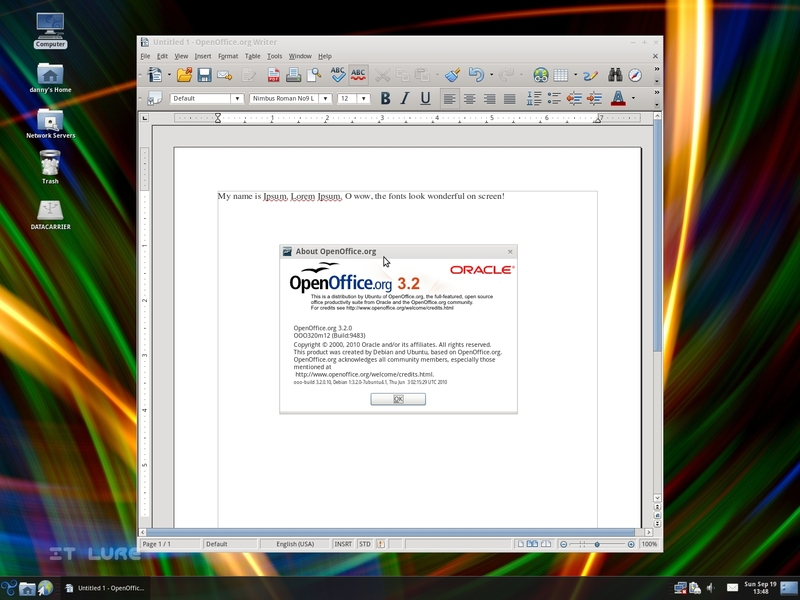 Scribus, the next item on the list, is, as far as I know, the only desktop publishing application for Linux that matters. Use it! If you need to. If you don't, don't use it. Heck, uninstall it, see if I care! Showtell Photo Manager also performs decently at organizing your photo collection so it's nice to have it around. And finally, the last two notable pieces (in this category) of software: Stopmotion and Synfig. While the first one is self-explanatory, with the second you can draw and animate all sorts of characters or scenes. The Internet and Office sections are filled with the usual suspects: Empathy, Firefox, OpenOffice and so on... nothing worth lingering about for. And boy, what AMAZING work had come out of LuxRender... you should really check out the gallery. "Programming". Code::Blocks IDE and Eclipse. Ok bye. Sound & Video, another central gathering point for this distribution, is filled with goodies: DJing apps, hardware mixer control interfaces, loop makers, digital audio workstations, converters, synthesizers, video editors, basically everything you'll ever (well, not ever. unless you'll die soon. ha ha) need for pursuing your multimedia dreams and passions. Just to name a few titles: Audacity, Ardour, PiTiVi, Cinelerra, Mixxx, LiVES, Echomixer, etc. 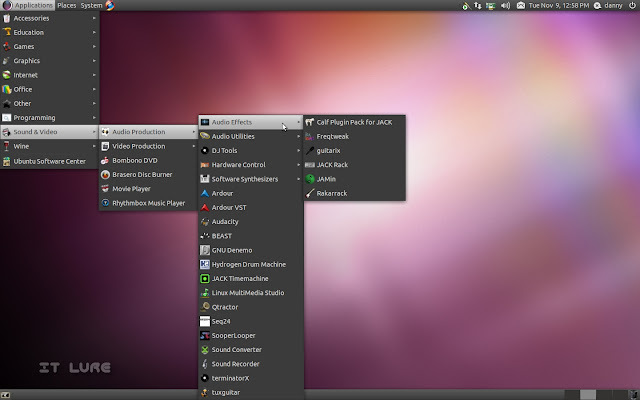 If you are dreaming of a free software suite to run your studio, then stop dreaming and download a copy of this distro and install it on your machine and be happy, your dream has finally come true. And you, my exquisite audience, please accept my thanks and a virtual bottle of your favorite beverage for letting your eyes transmit the information gathered from this article to your brain. 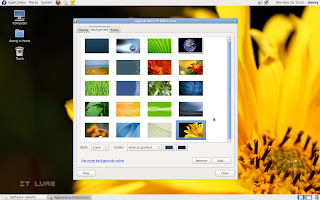 To my shame, I never really gave 100% libre GNU/Linux OSes more than a look or two, mainly because I don't like to dodge limitations just so I can feel "pure". Especially when I still have Windows happily running on a separate partition, which in itself makes for a pretty good ticket straight to hell. If I recall correctly, the first FREE distro I have tried was gNewSense, which runs Richard Stallman's computer and I remember being pretty appalled by it. All the packages were so out of date, it was sad. 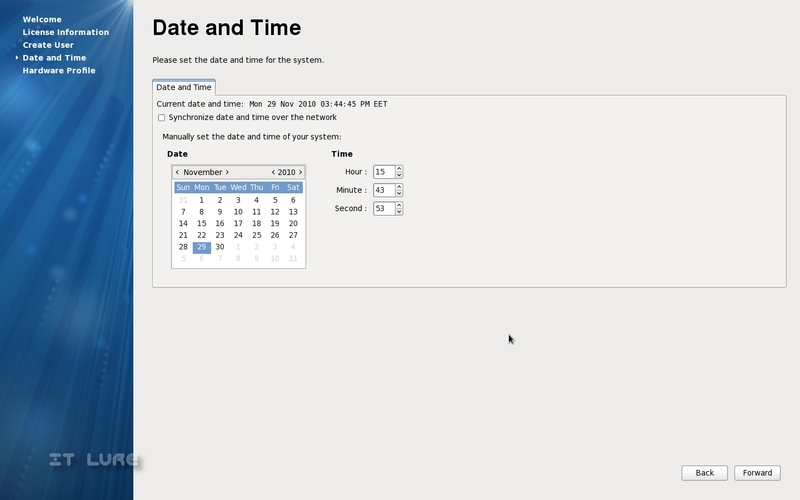 You won't attract people to the light side with a distro that looks to not have been updated in ages. Trisquel, on the other hand, which also can be found on the FSF white list, is doing it right. Having recently reached version 4, I thought it was a great time to put it to the test. And because a Windows-tainted machine doesn't deserve the privilege of hosting such a clean distro, I have found the perfect candidate: a 6 or 7-year old Compaq laptop that was a true rock-star back in the day, but is now retired. 2.20 GhZ Pentium 4 processor, 768 MB of RAM (updated from 256) and an ATI Radeon Mobility 7500 graphics card. Other than a bunch of damaged crystals in the LCD and, obviously, an useless battery, the Evo is as good as it can be. After burning Trisquel onto a CD, I threw it in the tray, fired the machine up and selected the Live option. What came next got me pretty worried that I would not be able to test the OS: errors after errors scrolled up and down, down and up for about 1 minute but, surprise surprise, the desktop appeared! And it worked pretty darn well. 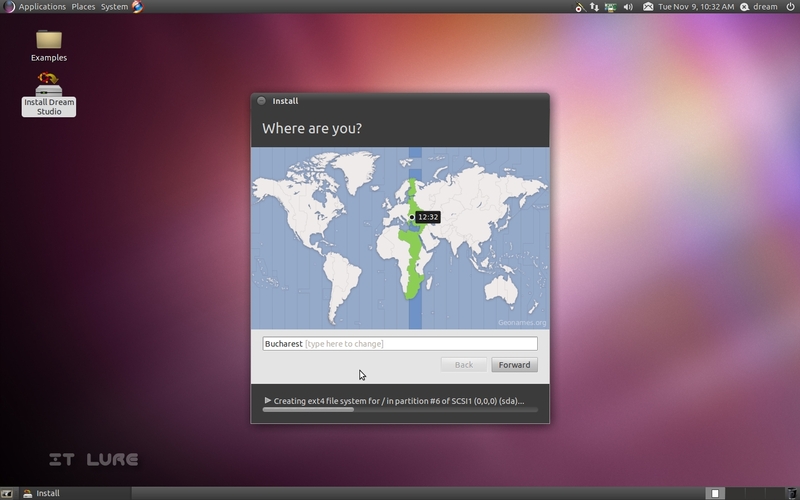 The installation, which is the exact one from Ubuntu (yes, Trisquel is based on Ubuntu) went smoothly and was done in about 12-13 minutes. Booting the system is quite a pleasure to the eye, and not because it has a super fancy graphical splah animation; I guess it has something to do with the laptop, as the verbose mode is progressing while flying sideways across the screen. Wheeeeeee! Watch the proof below - great video content, as you surely have come to expect from me. Oook... so now that it's installed, can you actually do anything without proprietary soul-eating bytes of code? Well, hell yes! But first of all, let me tell you that I am very impressed with how polished and professional this distro looks. The fonts are BEAUTIFULLY rendered, both on the desktop and inside the browser - a very pleasant surprise. The wallpaper is a soothing combination of dark and light, bright and yet discreet. 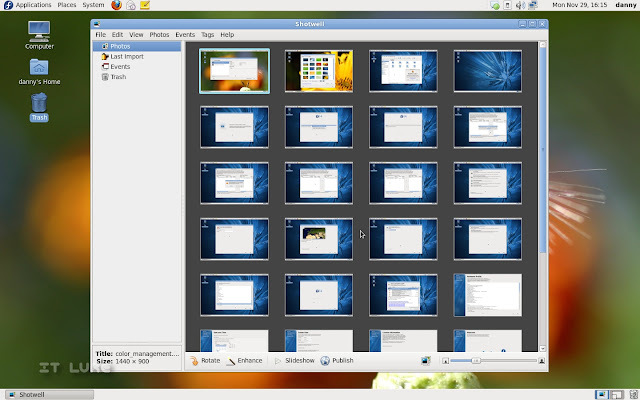 There is only one panel on screen, situated at the bottom, but, as it's a bit thicker, it can host two rows of applications, a good thing for those of you with 15 windows open at once. Starting from left, you'll find: the Main Menu button, file browser, Internet browser, network manager, battery indicator, volume control, email and IM center, date/time and update notifier. Sadly, they all conspired against my sanity and decided to randomly switch positions after a bunch of reboots. But did they succeed? Of course they didn't! I had a very serious conversation with them, maybe threw a bunch of death threats in my rage, who knows, and they complied. We are now best friends. The panel was also configured to fake transparency, so everything blends in quite nicely. The icon set is very well done and the theme provides a MAC-ish feel with a crisp gray and minimalistic window controls. But enough with the looks, let's check out the insides of this distro and how well it can perform out of the box in a regular work or home environment. 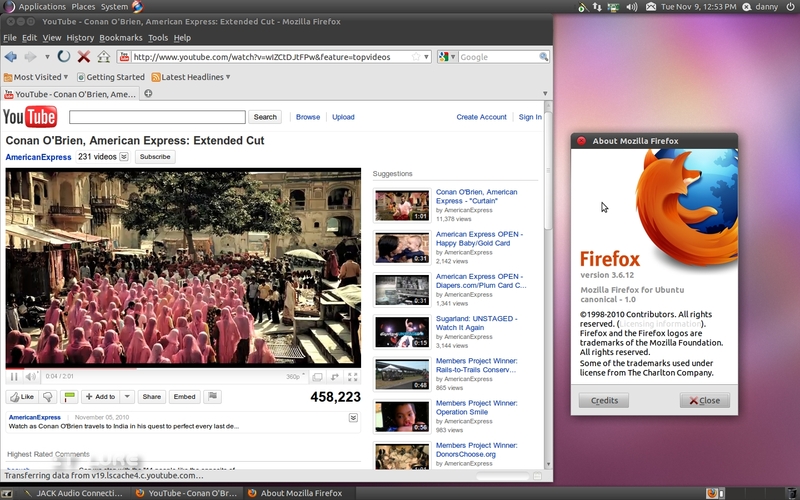 The "Web Browser" (yes, that is the actual name of the application) will easily be recognized by anyone as the latest version of Mozilla's Firefox - 3.6.10, but without all the branding. 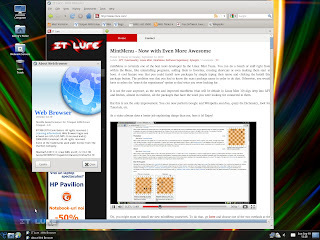 It comes preloaded with a bunch of useful links for those who want to learn more about Trisquel, GNU and the Free Software Foundation and, more importantly, comes with Gnash, the best replacement for Adobe's Flash Player. I did not test it on a lot of flash-rich websites, but YouTube movies played just fine and dandy. There's also DivX web Player, Totem QuickTime, VLC and Windows Media Player plugins to further expand its multimedia capabilities. It is often thought that 100% Free means no MP3, but don't worry, my friends, you won't have to convert your entire music collection to OGG, as Trisquel handles MP3s with ease. But let's explore more of the Internet category (which deservingly sits at the very top of the Main Menu)... 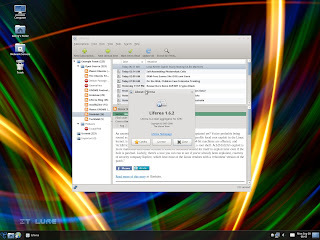 If you enjoy desktop RSS clients (rather than Google Reader, for example), Liferea is one of the the best choices in Linux and Trisquel bundles it, along with a pre-configured set of news sources. The most awesome IRC client, XChat, is next on the list, followed by Transmission BitTorrent Client and, sadly, Empathy IM Client instead of our beloved purple bird. 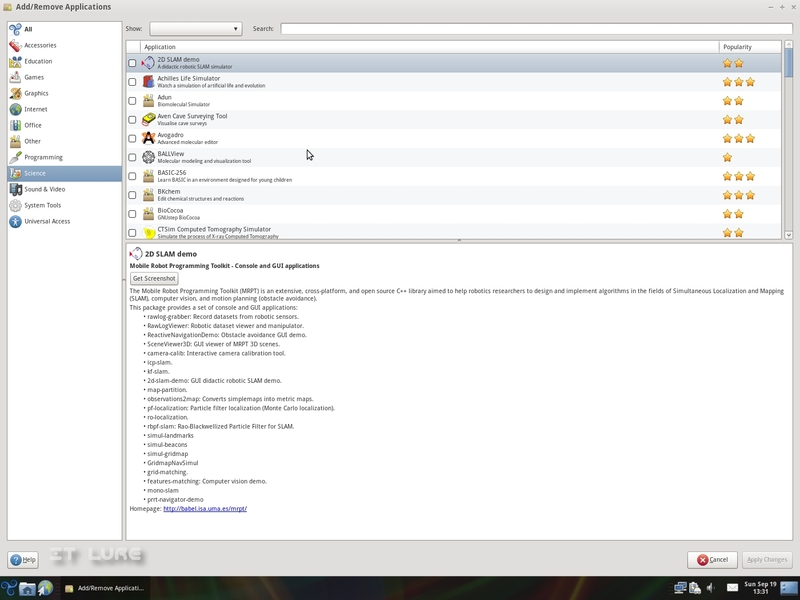 Of course, the Remote Desktop Viewer ends the list. Text processing, spreadsheets, presentations and drawings are all taken care of by the OpenOffice Suite version 3.2.0 that shares the "Office" category with the Evolution Mail and Calendar client and a Dictionary. If I was a bit disappointed because of Empathy replacing Pidgin, the fact that Trisquel includes The GIMP by default kind of compensated. Yes, we are now in the "Graphics" category. Please stay with the group and don't make a lot of noise. 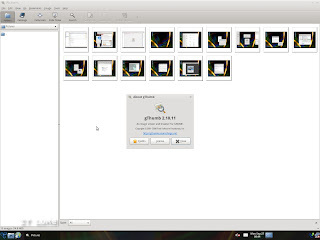 The image viewing tasks fall in the hands of gThumb 2.10.11; but that description really doesn't do it justice, as it can do much more than open up pictures for you to see. It can organize your collection in catalogs, it can tweak your images, crop, resize, rotate, convert and it even has a red eye removal function. Not too shabby at all. If you want an application that's more specialized in the same job of organizing, Trisquel also brings you Showtell Photo Manager 0.5.0. In the Sound & Video section, you will immediately notice that Rhythmbox was replaced by the more resource-friendly Exaile 0.3.1.1. Don't worry, it has plenty of features to not make you miss its "competitor". Cheese is also in the category, though I couldn't test it as, back when this laptop was made, there were few models that came with a built-in webcam. And no, I don't have an external one either. 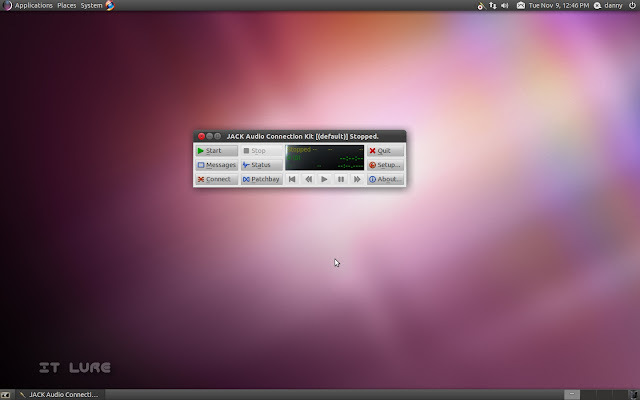 Ogg convert is an interesting addition and can turn those evil formats (both video and audio) into the libre Ogg. Movie Player and Sound Recorder are expected to be found in just about any distro and Trisquel makes no exception. For basic video editing, Pitivi will please most of amateur vloggers and "Family Vacation" motion picture producers. 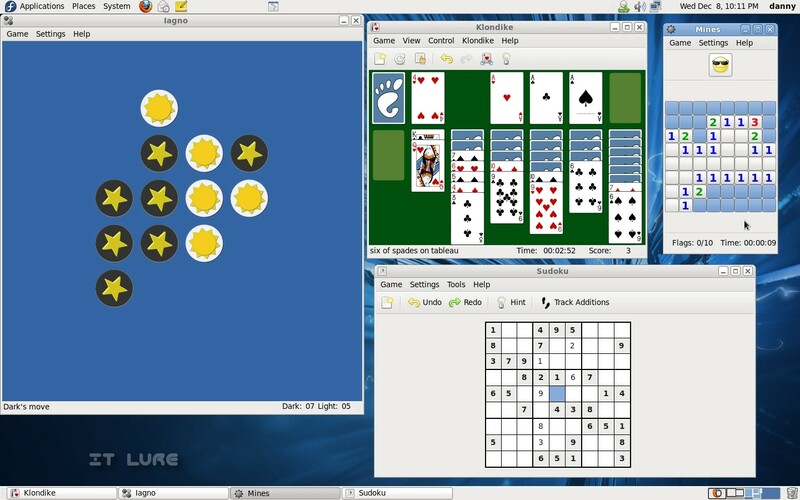 "Games" consists of a tiny selection of timewasters: Solitaire, Chess, Mahjongg, Mines and dreaded Sudoku (I hate numbers), but enough to greatly damage productivity. The "Accesories" area has all the usual suspects, except that Tomboy was replaced by the pure alternative . - Gnote. 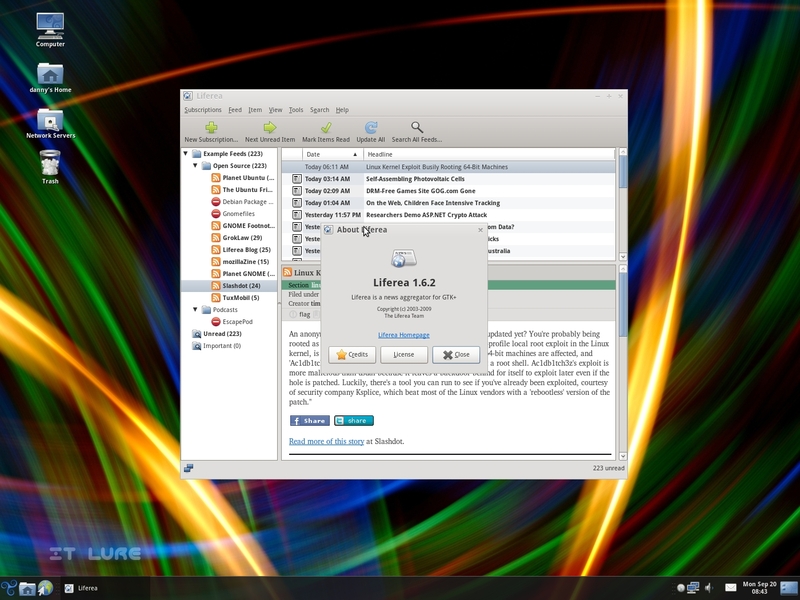 You can still use Brasero to burn discs, take screenshots, search for files, etc, etc. Installing new applications is, no surprise here, very easy. 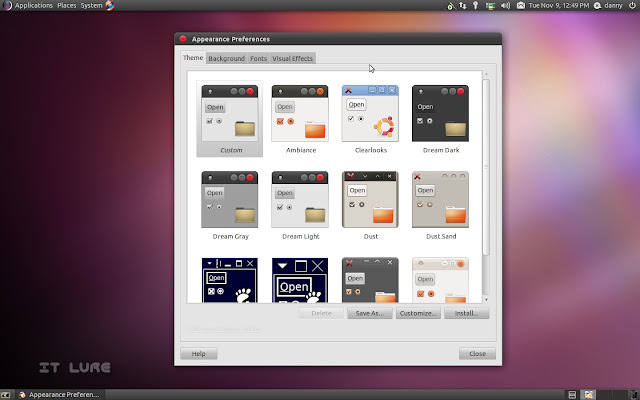 You can either choose the geekier Synaptic, or enjoy the more user-friendly Gnome Add/Remove app, complete with shiny icons and community ratings. 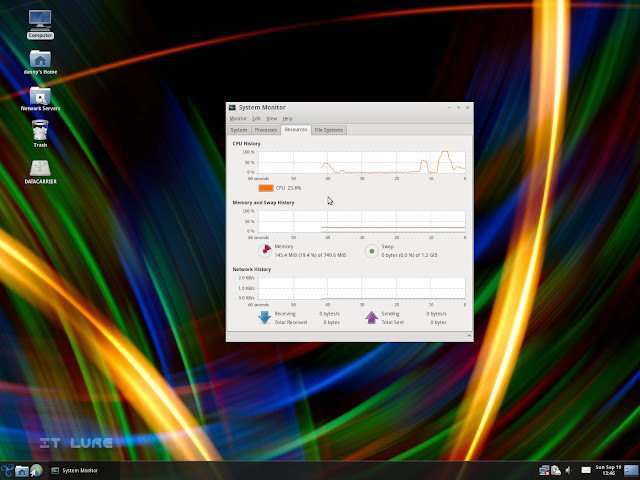 The memory consumption of Trisquel is within normal limits for Gnome desktops, under 200 MB and the CPU is under no significant stress. As this particular laptop lacks built-in wireless capabilities, I took a shot with my Edimax USB Wi-Fi card, but, though recognized, no networks could be detected. This is a problem present in the last 2 releases of Ubuntu, so Trisquel can't be blamed too much for it. 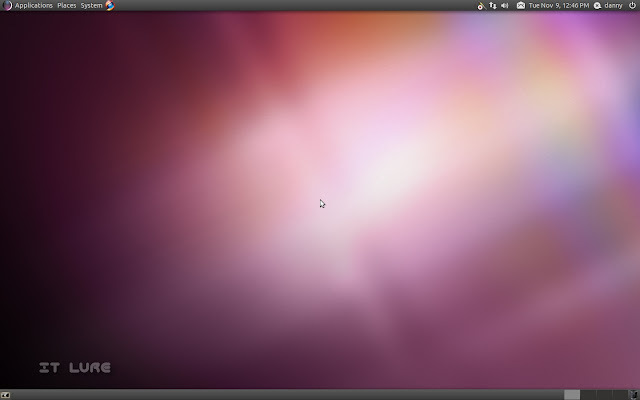 But there is hope, as the latest Ubuntu 10.10 Beta works like a charm with this particular Internet device, meaning a near-future Trisquel release will also have no problems handling it. Until then, eth0 for me, baby! There's also a weird annoyance with the touchpad: holding my finger as steady as I could would still result in tiny movements of the cursor. Happily, other than maybe a tad of dizziness, it didn't affect my normal workflow (more flow than work but hey!). The volume and brightness keys work perfectly, the little "i" opens the Web Browser, the mail fires up Evolution and the magnifier button opens the search function, just like it should. Can the truly free survive? I was more than pleasantly surprised with how gracefully Trisquel managed to bury my preconception about 100% free OSes being more of a creed, a philosophy than a practical operating environment, either at work or at home. Add that functionality to a polished, professional look and you have a project that is worthy of admiration and anticipation for future releases.